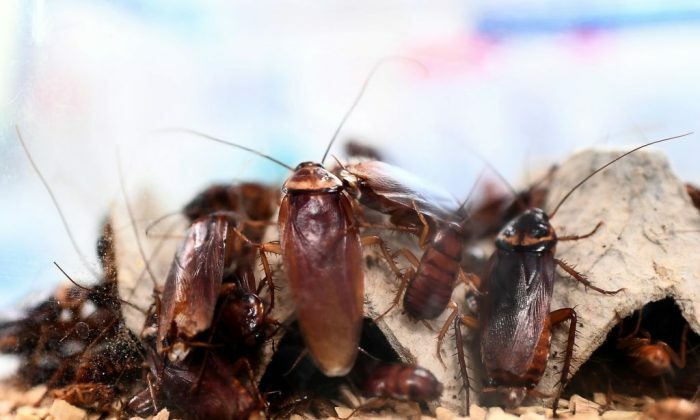 A Michigan man throwing a shoe containing a loaded gun at a cockroach accidentally shot himself in the foot. Police said the 50-year-old Detroit man lobbed his shoe at the insect in a bid to kill it, WDIV ClickOnDetroit reported, but he ended up wounded instead. The victim’s name was not disclosed in the report. Detroit police responded to the incident, which took place in the 18700 block of Albion Street on Tuesday, March 19, at the home of the wheelchair-bound man. Citing police sources, WDIV reported that when the man threw the shoe at the bug, a loaded revolver that had been stashed inside fell out and discharged. A bullet then hit the man in the foot. No further details were provided on the man’s condition, nor on the fate of the cockroach. The incident recalls the recent case of a young California boy who accidentally shot his mother in the torso with a shotgun. Los Angeles County authorities made an arrest after a boy less than 5 years old shot and wounded his mother with a shotgun that had been left in a car. The Sheriff’s Department said 24-year-old Brandon Ambriz of Norwalk was in custody on Jan. 24, 2019, on charges of a parole violation, illegally possessing a firearm, and child endangerment, according to The Associated Press. Talk to your #children about guns and gun safety. Authorities said the mother, another woman, and four children were in a car on the afternoon of Jan. 23, in a preschool parking lot in Norwalk when the boy discharged the firearm from the backseat. The blast went through the driver’s seat and hit his mother in the torso. She’s in stable condition. Police arrested Ambriz on the same day as the shooting. The four children were placed in the custody of county child welfare workers. Far fewer Americans fall victim to firearm accidents than some two decades ago, even though people own more guns, according to new data. Meanwhile, gun sales increased more than 80 percent between 1999 and 2017, according to The DataFace, a San Francisco data analysis company, which based its estimates on FBI background check data. There has also been a prominent push for the safe storage of guns. Gun makers have partnered with law enforcement for a nationwide education drive called Project ChildSafe that has distributed over 37 million gun locks. But that project only started in 1999, while the decline in accidental death rates started decades before, dropping about fourfold between 1974 and 1999, according to CDC and the National Safety Council nonprofit (pdf). Epoch Times reporter Peter Svab contributed to this report.